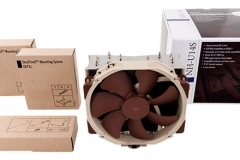 Last month, we published our first review of the new U-series single coolers from Noctua, the 120mm NH-U12S. This time we take a look at it’s big brother the 140mm NH-U14S. 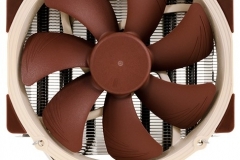 As with the NH-U12S, Noctua has addressed the trade-off where consumers need a performance air cooler but also want to use performance RAM with high profile heat spreaders. All of the Noctual coolers that we have tested previously demonstrated a good balance of cooling performance and fan noise – after seeing how quiet the NH-U12S was, we looked forward to seeing what the engineers were able to achieve with the NH-U14S. 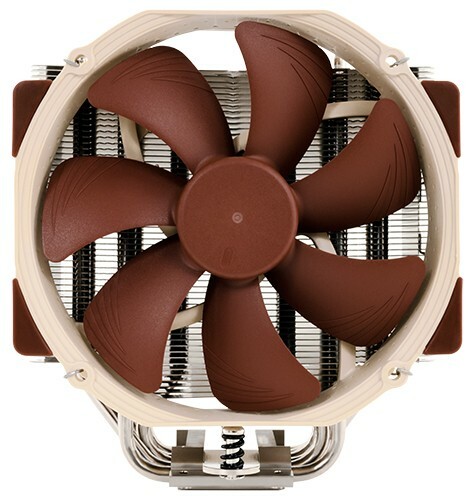 Noctua provided us with an additional NF-A15 140mm PWM fan with the NH-U14S for testing so that we could test in single or dual fan configuration. We also tested this on our i5 3570K in our mini-ITX Fractal Design Node 304 build for consistency – and to see how it would fit. 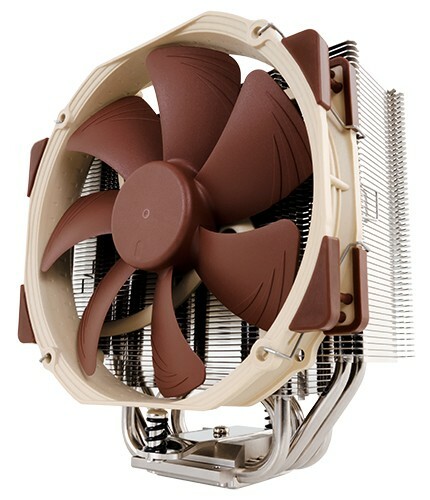 After testing the NH-U12S, we expected even better performance from the NH-U14S when overclocking and set to 12volts. 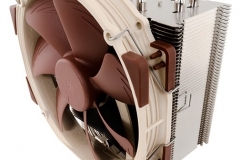 Because of the standard PWM fan profile, we didn’t foresee much of a performance gap at stock CPU volts with the ASUS FanXpert 2 standard PWM fan profile due to the fan speed being driven by the CPU temperature. 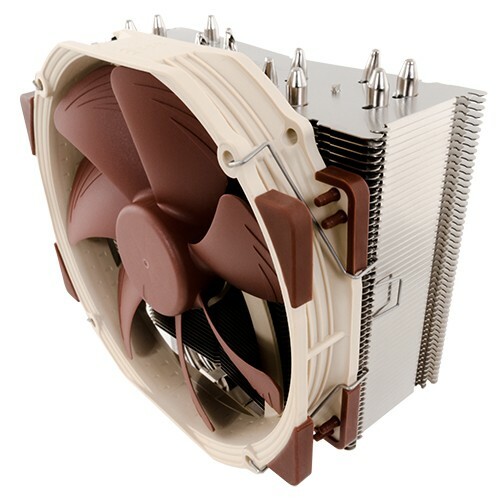 With the fan(s) set to 12v, we should see if the additional heat pipe and 20mm increase in fan size makes that much difference as well. Compared to the NH-U12S, this 140mm version stands 7mm higher, 25mm wider, 7mm thicker and about 190g heavier. 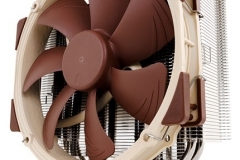 The NH-U14S also uses a different fan in the NF-A15 (previously reviewed here). The A15 is capable of higher airflow, moving 140.2m³/h over the NF-F12 (93.4m³/h) but the A15 is rated slightly louder by about 2dB(A) in terms of its acoustic performance. In our testing, we found both fans to sound about the same – even when run side by side. The contents of the NH-U12S and NH-U14S box are both very well protected and the accessories, mounting kits and tower cooler itself are packaged even better than before – in separate cardboard boxes with the contents laser printed on the outside. The U14S was more tightly packed and harder to get out of the box but at least you know it’s going to be well protected in transit. Having just tested the NH-U12S in our Fractal Design Node 304, we thought it would be good to install the NH-U14S and see how it fit and performed with the same i5-3570K. Next articleX Rebirth : Space Sim Fans Rejoice!